sociology relevant and interesting to students who aren't angling to become scientists. oozing around.) But plenty of preteens and teens won't mind watching vets stitch up a koala that lost its run-in with a car, a camel with a weird nasal cavity that traps food (causing constant sinus infection), a snake with a benign growth on its kidney or a cheetah with a severely damaged palate. 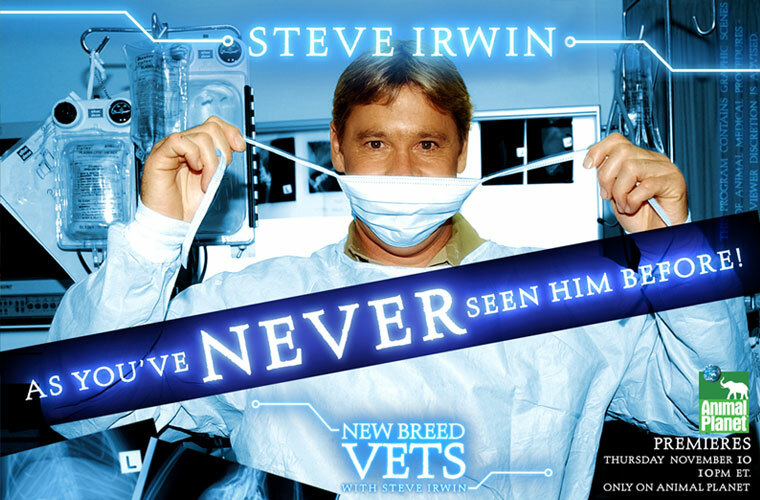 In his hyperkinetic way, Irwin has noted the hospital at his Australia Zoo treats as many as 60 koalas a month that suffer broken bones and other injuries caused by cars. The problem, he states plainly, is habitat destruction - koalas can't find their "mates" (in the literal and Australian sense) without crossing suburban roads. When vets traveled to Indonesia after last year's tsunami, it was to treat elephants injured while clearing debris. It's interesting that in this horrific emergency, humans needed animals' help in rescue and recovery because all the heavy machinery was lost or destroyed by the tidal wave. The elephants' feet, trunks and heads, however, were injured from moving or stepping on sheared metal, broken glass and splintered wood. In order to keep the animals alive and healthy, vets administered a variety of vaccines, salves and antidotes. Also featured on the show is the extensive surgery needed to repair a cheetah's jaw, broken when it became tangled in an African farmer's snare. While there's the small view - repairing the cheetah's injuries - the broader view presents more texture for kids and their teachers. Who's right in this situation, the farmer or the conservationist? What role do these wild animals play? Is it humans' responsibility to fix the damage to animals? Who should pay? This week's episode tackles various crimes against animals, a visit to the National Wildlife and Forensics Laboratory in Oregon and suspicious mouth lesions found in lowland gorillas. Regular Irwin viewers need to get past his histrionic ways to realize this series asks a lot more questions than it answers. While the surface view of vets is entertaining enough, the interface of man and wildlife presented in "New Breed Vets" (either intentionally or not) makes this a dynamic program to watch. I know you are extremely busy, so will be brief . . .
to be part of this high class program. You are all inspiring with the care you have taken in this production. Can't wait until next week. . .